Think back to when you started your business. Did someone tell you the first person you should hire is a bookkeeper? You should do this before you do anything else because finances are scary. Maybe they said bookkeeping is hard or taxes are overwhelming. Bookkeeping doesn’t need to be scary or difficult, but you may need more than a simple bookkeeper. You need a financial partner. It’s no wonder why many entrepreneurs believe that money and financials are something to be avoided. Except, if you are afraid and avoid them, that’s when they turn into a nightmare in the form of letters from the IRS, notices from your bank or in the worst case scenario, having to close your business. While the rate of business failure in this country is high, don’t let that be because you didn’t understand your finances or keep them in good order. How many of those failed businesses had bookkeepers? I would guess that many of them did have bookkeepers. Some of them might have had really good ones, too! How can this be? You did it right by hiring a bookkeeper, so why are your finances NOT in order? What can you do to not become part of the failed business statistics? Simply answer… be involved and higher more than a simple bookkeeper! Don’t simply hire a bookkeeper and think they know how to grow your business, cut your costs or help in any other way. Chances are they don’t know the higher level finances. They simply understand the ins and outs of QuickBooks or other accounting software. 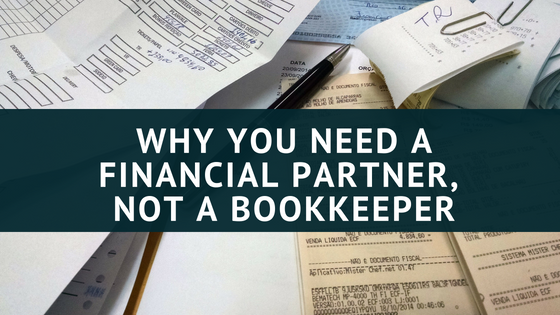 Here’s the thing… you should have an active relationship with your bookkeeper or strategic financial partner. As a result of a great partnership, your bookkeeper should want you to succeed. They will have ideas to make your business more successful and most likely more profitable. Don’t treat a bookkeeper simply as part of the admin team whose role is to categorize transactions. Reframing your relationship with your financial keeper can be one of the most powerful things you can do for your business. Be clear on why you feel you need a bookkeeper or financial strategic partner. What are you hoping to get out of this relationship? What do you need more help with? What is your pain point or struggle? What are you scared of? Sit for a few minutes and actually write these things down. What would your dream relationship with a financial partner look like? Schedule a meeting with your financial partner. Share the things you wrote down. Be vulnerable, open and honest. This is extremely important. In order to be a good strategic partner, they need to know exactly what’s going on in your business (even if you don’t!). This means they need to know your pain points and frustrations and then need to be able to look at your numbers and make it so you understand them. Ask them to explain anything you don’t understand. Maybe you need a phone call for questions vs. exchanging emails? Are there reports missing that would help you further understand your business? Can they help limit costs, taxes or other items? Ask them how you can make their life easier. Perhaps there’s information that they need that you aren’t providing, or that they could access directly without having to bother you. Make it easy for your strategic financial partner or bookkeeper to get the data they need to make the right assessments and changes to your business. Make sure they take into account all your financials not simply the categorization of expenses and income. Does your bookkeeper understand taxes? Is there a place to save on your team? Can you cut costs somehow? All items of your business need to be taken into account in order for this bookkeeper to really help you grow. Finally, bookkeepers or as I call them strategic financial partners want to help grow your business. They would love nothing more than to have your business become wildly successful. Don’t hire one, then avoid their emails or take forever to respond to questions. You are on the same team, so tell them what you need from the relationship, your pain points and fears. Then, watch the transformation unfold! 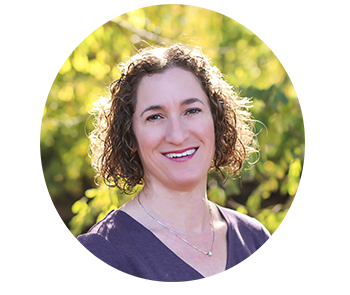 Book a strategy session with me and see how a bookkeeper or strategic financial partner can help you finally feel empowered about your numbers! What are you waiting for?